Andy Murray is set to retire after Wimbledon in the summer but admitted the Australian Open could be his final tournament. In an emotionally-charged press conference ahead of the first Grand Slam event of the year in Melbourne, Murray revealed he was still troubled by the hip injury that has plagued him for the last 18 months. The 31-year-old underwent surgery on the problem a year ago, but he is still unable to play without pain in his troublesome hip, and he is considering going under the knife again to ensure “a better quality of life” once he quits professional tennis. Murray is determined to play on and call time on his illustrious career after the Wimbledon fortnight, but he conceded he was unsure if he could play through the pain over the next six months. The Scot, champion at Wimbledon twice after landing his maiden Grand Slam title at the US Open in 2012, walked out of his press conference in tears after being asked about the status of his hip, to which he initially replied: “not great”. He returned a few minutes later and struggled to remain composed as he came to terms with therealisation he could be forced into retirement regardless of how he performs at the Australian Open. 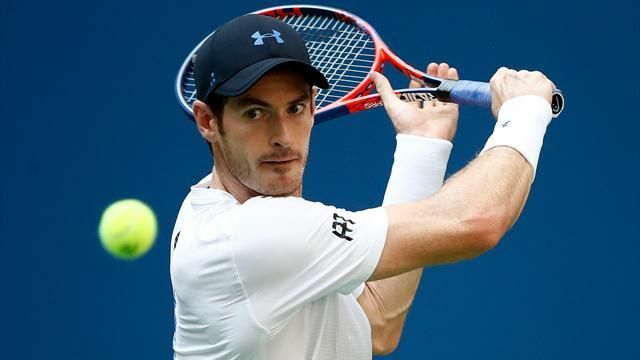 “Obviously I’ve been struggling for a long time, and I’ve been in a lot of pain for about 20 months now,” said Murray, who is scheduled to face Spaniard Roberto Bautista Agut in the first round on Monday. “I’ve pretty much done everything that I could to try and get my hip feeling better and it hasn’t helped loads. I’m in a better place than I was six months ago but still in a lot of pain. It’s been tough. Murray revealed he had spoken to his coaching team and management during training in Florida last month, and he outlined his intention to get through to Wimbledon before retiring. When asked if the Australian Open could be his final tournament, he said: “Yes, I think there’s a chance of that for sure because I’m not sure I’m able to play through the pain for another four or five months. “I have an option to have another operation, which is a little bit more severe than what I’ve had before in having my hip resurfaced, which will allow me to have a better quality of life and be out of pain. Where Next for Joel Obi? Last Week Winner is …….